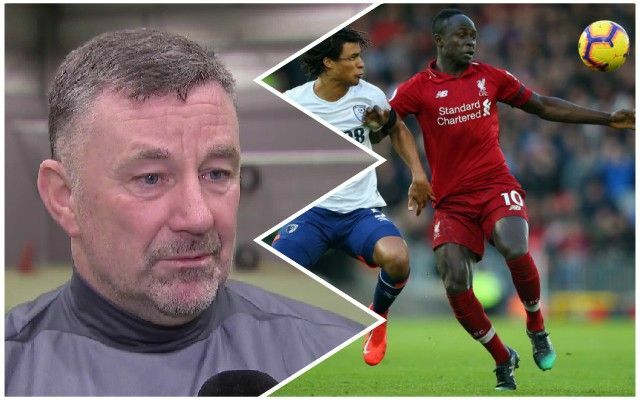 Reds legend John Aldridge was delighted to see Liverpool beat Bournemouth by three goals to nil, but says they still have room for improvement. The ex-forward admitted he was nit-picking, but said post-match that the finishing could have been better. Mo Salah hit the bar and Sadio Mane headed wide from seven yards, and the game could easily have been more than 3-0, in fairness. That was certainly the feeling from a lot of Reds heading out of Anfield, although most were simultaneously delighted to have got the three points. If the title race comes down to goal difference, it could be important, but winning is the only thing to focus on, really. As long as we keep doing our thing and winning matches, it won’t make any difference how big the goal difference margin is – it’s in our hands in terms of points. The victory today means we get to sit back and watch Manchester City play Chelsea tomorrow – hopefully, the Blues can do us a favour!